This post is part of KQED’s Do Now U project. Do Now U is a biweekly activity for students and the public to engage and respond to current issues using social media. Do Now U aims to build civic engagement and digital literacy for learners of all ages. This post was written by the following students from Dr. Thomas Wood’s “Mysteries of Migration” course at George Mason University: Caroline Kittle, Elizabeth Rovira, Maria Larios, Clara Ben Ayed, Lauren Murray and Surraya Abbasi. Hear about some challenges facing our national parks 100 years after the creation of the National Park Service. To respond to the Do Now U, you can comment below or post your response on Twitter. Just be sure to include #DoNowUParks and @KQEDedspace in your posts. Our national parks have been described as America’s Best Idea. They belong to all of us and provide tremendous opportunities, but require us to be responsible stewards as well. In 2015, America’s national parks saw their highest visitation rate yet, topping 300 million for the first time ever, just in time for the centennial of the National Park Service (NPS). Last year, the NPS used the celebration of their hundred years of service as an opportunity to promote their Find Your Park campaign, their latest effort to get more people outside to learn about and enjoy nature, as well as visit museums, local parks and historic places. In addition, the NPS launched the Every Kid in A Park program, which provides every fourth grader and their family free entry to national parks for one year. 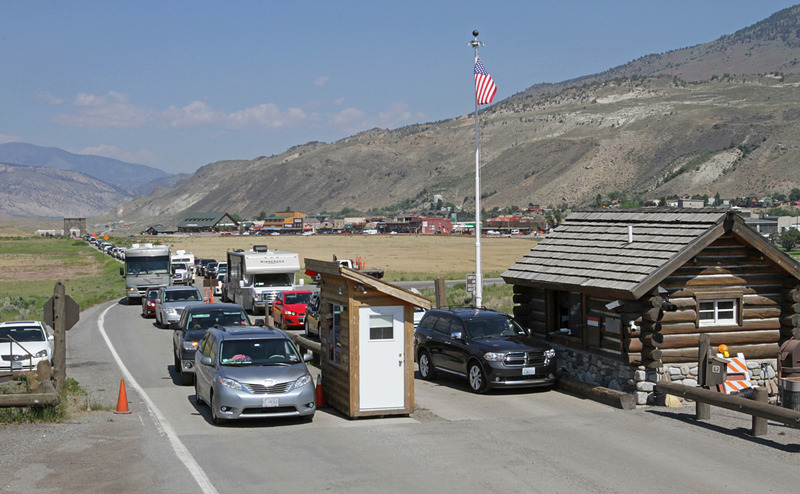 Some wonder how increased visitation in recent and upcoming years may negatively and positively affect our wild lands, and how we might curb the negative impacts. Ecotourism is an industry that promotes responsible travel to natural areas. It can provide income and promote conservation–rather than exploitation–of natural resources. Sometimes, ecotourism is looked at as a solution to a lack of political will or general apathy toward conservation issues. The idea of ecotourism is to enhance the conservation of wild spaces and species in an ecosystem through the promotion of natural resources as a tourist attraction. As an industry, it also has the potential to lead to some unintended consequences associated with bringing too many people to our wild places. Federal government agencies, including the National Park Service and U.S. Forest Service, use a Visitor Experience Resource Protection (VERP) framework to help ensure an appropriate balance of visitation and protection, which can be difficult. Ecotourism has many benefits. It boosts local economic growth, provides jobs and improves conservation awareness as it stimulates the desire to protect our parks. NPS activities provide more than 200,000 jobs and have $30 billion impact on the economy of the U.S. through visitor spending. Getting outside is also good for people’s physical and mental health, helping with everything from reducing stress to improving memory. Companies are recognizing these benefits for employees, and students’ performance can improve after spending time outside. In addition, our national parks provide a unique American experience, bringing people together to learn about our national heritage. Due to all of these benefits, many people support sustainable tourism. But let’s not fail to consider the drawbacks as well. To make an area accessible to visitors, infrastructure has to be built and transportation has to be arranged. The revenue generated for local economies is often seasonal. Areas may start to cater to more tourists, over time changing the landscape that we are trying so hard to protect. There is also the issue of keeping wildlife “wild.” Sometimes increased human interaction with wildlife can be degrading or disruptive to the balance of a natural area’s systems. Wildlife can become habituated to people, or change their behavior to avoid people, decreasing their use of habitat around trails as more people come along. There is also the potential of impacting wildlife directly on roads or in remote areas. Recently, a bear with cubs killed a hiker’s dog in Shenandoah National Park when she encountered the bear near a hiking trail. Visitors’ poor behavior has been a growing problem, too. especially in national parks. 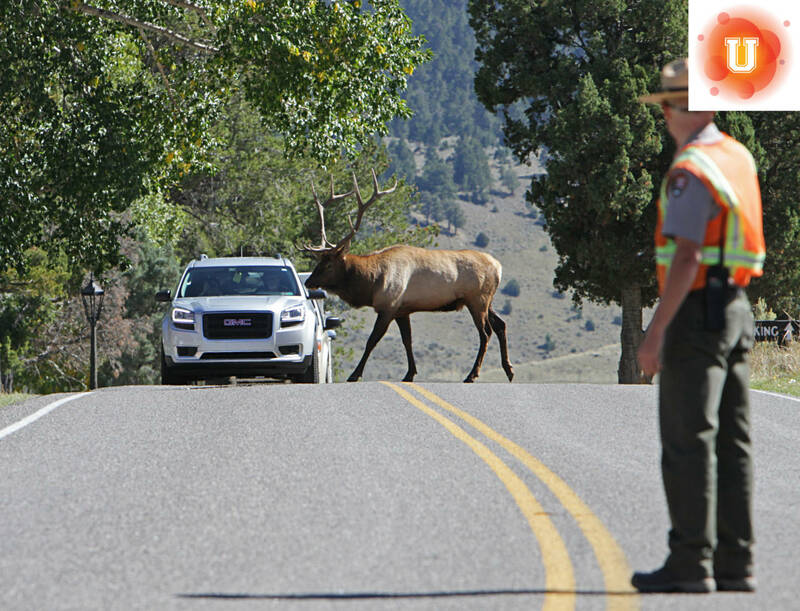 In the past couple of years, the national parks have made headlines several times because of human misbehavior. In 2015, a family interfered with a bison calf in Yellowstone National Park, which they had presumed was in danger because it was alone in the snow. Bison are physiologically equipped to handle the harsh winters in the midwest. In the end, the family’s misjudgment cost the bison its life after attempts to reunite it with its herd failed. In another, more subtle case, Big Meadows, in Shenandoah National Park, faces a particular chronic human-wildlife conflict that affects meadow ecology with visitors frequently going off trail. This misstep causes a disruption of the plants in the meadow, which is an especially big problem because Big Meadows is a unique type of wetland and host to the highest concentration of rare plants in Shenandoah National Park. Recently, a woman was sentenced for vandalizing sites in parks around the country, something that unfortunately has impacted many parks over the years. Ecotourism provides benefits to visitors, local economies and our national identity. But it also has drawbacks, impacting wildlife, ecosystems and the historic heritage parks are designed to protect. What do you think? Is ecotourism helping or hurting our national parks? With about 1,600 black bears in Great Smoky Mountains National Park and about 10.7 million people visiting every year, wildlife biologists have to balance educating people and protecting the bears. Watch a video and read the seven principles of “Leave No Trace”–how to minimize human impacts on the environment. Find a national park to visit! While this is a controversial topic, there is one main thing that makes me inclined to take the side of Ecotourism. There will always be problems with people infringing on wild animal’s habitats, but like it said in the article, being able to get out into nature helps with mental illnesses, and stress. A lot of problems in America are founded on mental illnesses. If this is one way to help, especially since it’s enjoyable and it works, we should definitely keep it. I think that they need to find new ways with how they deal with the animals, because the animals get disturbed in their homes and the people that work there say they are having a hard time keeping the wild animals wild. Also they will sometimes change the landscape, and doing this they may cause some animals to loose their homes. I think that having responsible people working in the national parks is a good thing because they are able to keep them clean and that way people would like visiting the parks. I believe that ecotourism is helping national parks, because there are many pros that outweigh the cons. With people visiting the parks and taking pictures, the parks can attract more visitors who view the pictures for free. People with mental health issues are benefited greatly by being about to tour as well. Many jobs are opened up for tourism as well: more than 200,000 jobs. With that many jobs, many of the cons to this issue can be eradicated as well. Disturbance of wildlife can be kept to a minimum. I believe ecotourism is helping our national parks. By having national parks we are raising awareness for our wildlife. People are benefited greatly by having a place to spend outdoors in nature. Ecotourism opens up job opportunities, which boosts our economy. However, the issue with ecotourism is that it disturbs the wildlife. This issue can be resolved by making an effort to keep a balance of visitation and protection.